The MAC members taking a tour around the ITER construction site. "The schedule was aggressive, but not achievable." Bob Iotti, Chairman of the ITER Management Advisory Committee (MAC), could not resist making this ironic comment on the fact that lunch took a bit longer that day than expected. It could have been understood differently though. Due to intensive discussions, the meeting was running behind schedule, so Norbert Holtkamp allowed the attendees no more than ten minutes for the buffet lunch. When the ITER Principal Deputy Director-General finally clapped his hands together to hurry everybody back to the conference table in the Salle de la Fernière at the Château in Cadarache, half an hour had passed. Iotti's remark was greeted with loud laughter, as that Wednesday morning Norbert Holtkamp had presented the new bottom-up project schedule, "an aggressive, but credible project schedule, which permits assessment of the consequences of any action taken by the project," as Iotti later summarized the "very intensive" two-day meeting, which included a joint session with the Science and Technology Advisory Committee (STAC). In its draft final report, the MAC concluded that the ITER project has made "remarkable progress" since the last MAC meeting. "Visible achievements have been made in finalizing the design as well as in development and implementation of management systems and most of the administrative systems. A few technical design issues, recommended by the STAC, remain to be addressed, but the overall progress since the last ITER Council meeting has been very substantial and gratifying." 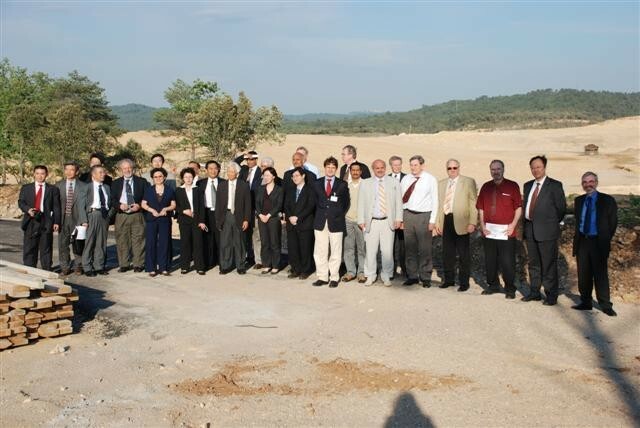 The committee was particularly encouraged with the effective cooperation between the ITER Organization and the Domestic Agencies through the IO/DA Coordination meeting, Iotti said, "which paves the way for an even closer interaction."